Shelley Electrics - Alarms/Security, Electrician based in Fareham, Hampshire. 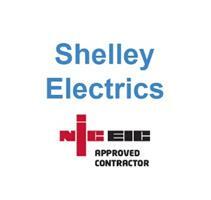 Shelley Electrics is an NICEIC Approved Contractor, fully insured with 20 years experience. We cover all aspects of the electrical industry from domestic installs, sockets, lights and fuse boards to commercial shops, business call outs including landlord safety checks and certs, to industrial unit refurbs and three phase installations that include periodic electrical testing and any remedial work that maybe required. We can also offer a variety of plumbing jobs. This includes involvement in: warehouses, offices, shops and schools.